Suddenly the shiny silver car swerved dangerously and screeched to a halt in the busy side lane opposite a top hair-styling shop in Bandra. The fashionably dressed occupants of the silver car were in the midst of an intense raging argument. Passer-bys slowed down sensing a good tamasha and straining to get a peek of what was totally not their business (as any good god swearing normal Indian would in such a circumstance). 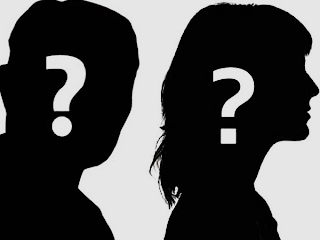 The fight between the stunning very young upcoming actress and a mystery man was happening in full public view. She shouted. He shouted back. She seemed to be begging. He seemed to be in no mood to relent as he pounded some numbers on his cell phone and the girl tried to pull it from his hand when he very rudely brushed her hand off. She panicked when she saw the crowd building and tried to cover her face with a striped scarf and rolled up the windows. Obviously embarrassed the girl tried to regain her composure and seemed to be beseeching man who kept yelling on the phone. She tried to take the keys of the car and signaled the man to move pointing at the gathering crowd outside their car. But the raging man would not budge and it finally took two traffic constables to break the crowd. The couple were ordered to roll down their windows which they stubbornly kept closed for some time. But finally with passions subsiding, good sense eventually prevailed. Scared of trigger happy photogs the couple begged the constables to not to make them come out of the car and it must have been their lucky day as the men obliged giving the couple some gyaan on public behaviour for good fifteen minutes. All seemed well and the car sped off only to come to a screeching halt half a kilometre away!!! The car door flew open and the scarf covered girl threw what appeared to be some papers on the man’s face and tears streaming, red nosed she flagged an auto and sped off.